Located in the north of France, Lille is found close to the border of Belgium and the city is recognised as the principal city of the Lille Metropole while also being the capital of the Nord-Pas de Calais area of France. As of the 2009 census, the population of Lille stands at 226,827 but the population of the greater region stands at 1,091,438. This places it as the fifth largest urban area in France coming in after Paris, Lyon, Marseille and then Toulouse. There is no doubt that the Stade Pierre-Mauroy is an interesting stadium and at full level, the Grande Stade has a capacity of 50,186. This is the venue of the football club in Lille but an interesting component comes with the fact that half of the field in the stadium is located on tracks and hydraulic lifts. These can raise and slide this half of the field underneath the other half in a period of three hours and this creates a second level floor plan, which is referred to as the Boîte à Spectacles. 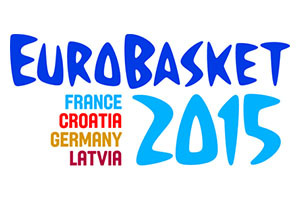 This is the arena for concerts, tennis and basketball, and this will be the venue for the knock-out stages of the 2015 EuroBasket event. The capacity in this configuration can vary between 6,900 and 30,000 seats. The arena also has a retractable roof which can be closed over in 15 minutes. The venue is also going to play host to a number of games at the Euro 2016 football, making it the hub of sporting activity for two summers in a row. The stadium has official parking for 7,000 vehicles while there are also metro stations and the highway situated close by. Add in the fact that the venue utilises solar panels and windmills to provide electrical supplies and you have a thoroughly modern stadium that is fit for virtually any purpose. Of course, a stadium of this calibre comes at a cost and the total cost of construction came in at €618million. This comprised of close to €300m for the stadium itself, close to €50m for additional development including hotels, parking and restaurants and a further €100m to make sure that the venue passed the seismic standards that came into being in France in 2011. 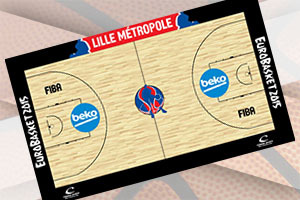 The cost of the project was shared by the city of Lille, LOSC and the regional government of the Nord-Pas-De-Calais. 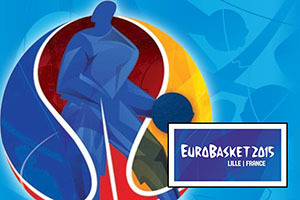 Lille will be the host of all of the knock-out games in the 2015 EuroBasket event, with the Round of 16 getting underway on Saturday the 12th of September. The Round of 16 will be played on the 12th and 13th of September with four games being played each day. On the 12th, the games are between the winners of Group A and the fourth ranked team in Group B, the runners up of Group D and the third ranked team of Group C, the runners up of Group B and the third ranked team of Group A and the winners of Group C who will play the fourth ranked team of Group D.
On the 13th, the games are between the winners of Group B and the fourth ranked team in Group A, the runners up of Group C and the third ranked team of Group D, the runners up of Group A and the third ranked team of Group B and the winners of Group D who will play the fourth ranked team of Group C.
The Quarter-finals will be played on the 15th and 16th of September. The winners of the first two games on the 12th will play each other as will the winners of the last two games on the 12th, with both of these games scheduled for the 15th of September. This process is repeated on the 16th with the winners of the first two games on the 13th playing each other and then the winners of the last two games on the 13th playing each other. The Semi-finals take place on the 17th and 18th of September. The two winning teams from the 15th of September will face each other in the 17th and the two winning teams from the 16th of September will face each other on the 18th. The Final, and the third/fourth playoff, will take place on the 20th of September.